A pleasing cozy mystery with a unique hero. Atticus, a young man on the autistic spectrum, loves his job at the local museum, preparing artifacts for display. In his spare time, he creates terrariums. 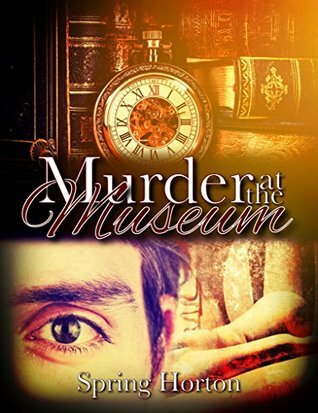 His curiosity and attention to detail make him an unexpectedly good investigator when a murder takes place at the museum. His new friend Freddy, a photographer, and his brother Scout, a former detective, help him solve the case.What I really liked about this story were the physical details -- the weather, the descriptions of the Scottish countryside, and the pieces of art that Atticus takes such good care of. I got this book because someone on tumblr was in love with this. I thought, why not? Boy, was she right. Spring Horton manages to balance characters, mystery, plot line and excitement just right.You never feel like there is too much of anything, or too little. You get to know all the characters, but the plot is never forgotten. It's a true cosy murder mystery, and you will refuse to put it down unless you absolutely have to - for example when your house is on fire.I - for one - can't wait to read more about Atticus. Plus it's the perfect read for a rainy day. Spring Horton - I am an author, scriptwriter, and filmmaker. I've recently started my own publishing and production company called Divergence Productions. 2017 was an exciting and crazy year, and I hope things only get better from here. I write mainly mystery and fantasy novels, which usually focus on LGBT or neurodivergent characters. The Atticus McLaren Mysteries is my baby, and the company is currently working on turning it into a television series.